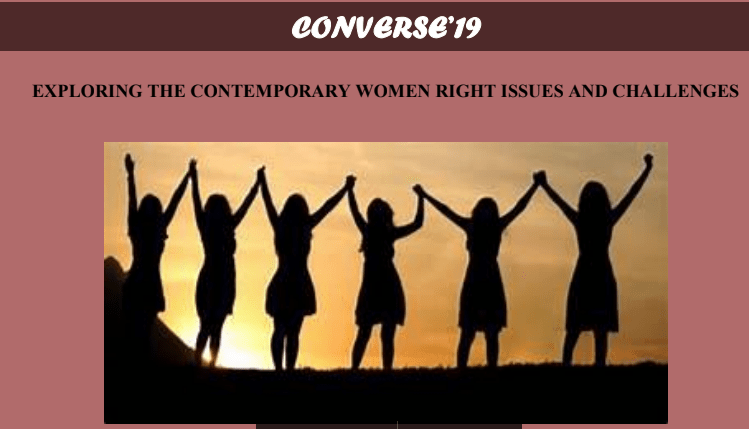 Centre for Human Rights of Symbiosis Law School, Hyderabad is organizing a two-day national seminar on "Exploring the Contemporary Women Right Issues and Challenges"
Research papers are invited from the academic practitioners, research scholars and the students. •	The papers should be the author's original work and should not be the repetition of any published work. •	Research Papers shall be subject to the approval of the Editorial Board and depending on the quality of papers, selected papers will be published in the form of a Book with ISBN. •	The paper must be submitted to hrc@slsh.edu.in. Once the Abstract is selected, participants will be sent a registration link via e-mail. Abstract Submission: 2nd February 2019 (11:59 pm IST).